A surprising design in wall clock ! The diameter for this clock is 43 cm. This clock is made entirely of wood by our artists. Worldwide shiping for this modern clock. 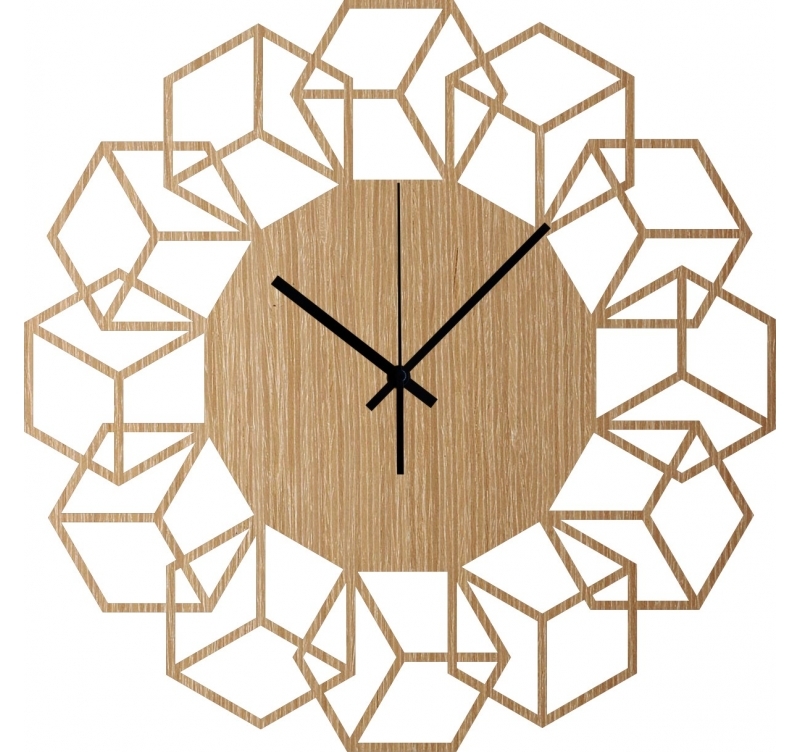 A cube assembly to create a flower in this design wall clock ! Entirely made of wood, this decorative clock goes off the beaten track to offer you a unique and trendy model. Directed by our artists Artwall and Co, this clock plays on its geometric aspect and illusions of images to create a very modern object. It can very well be installed in a Scandinavian style living room, as in a kitchen for a natural touch. This clock works with an AA type battery (not included). Each wooden clock is one of a kind from the natural wood panel. 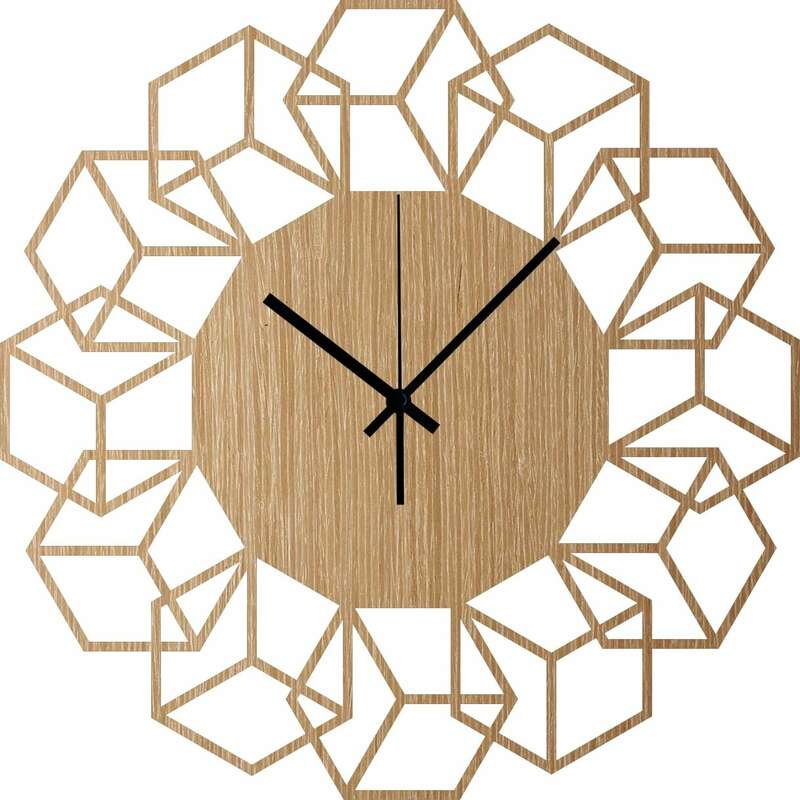 The vein of the material is made individually on each of the products in our wooden wall clock collection.